Amongst today’s Championship Rumours is one from HITC that tells us that Hull City have put in a bid for Rotherham United’s striker Michael Smith. 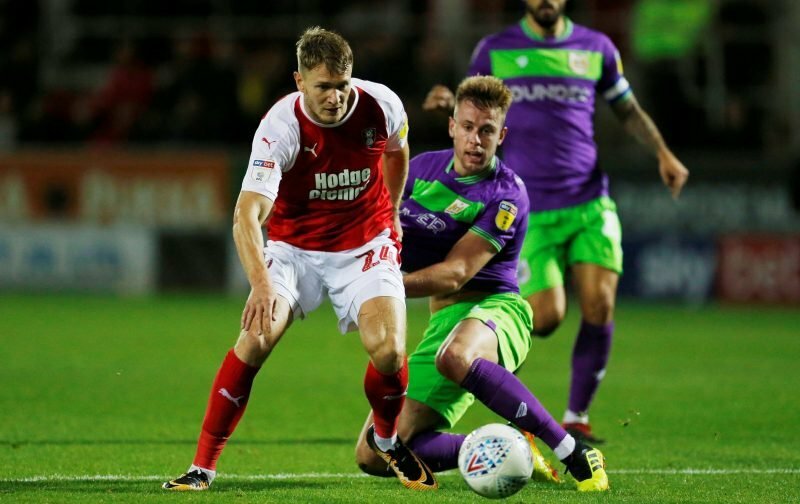 The Millers number twenty-four came to the New York Stadium in January 2018 from Bury and helped Rotherham to their Wembley appearance in the League One Play-Off Final which saw them move back to the Championship. Michael scored six times last season in twenty-three appearances and has played twenty-nine times this season, usually as lone striker, where he has put the ball in the net five times. It appears that Hull City have targetted a striker before the transfer window closes with Smith being top of their list. I would imagine that Millers Manager Paul Warne, as well as the rest of the backroom staff, will do their best to keep Smith as a Rotherham United player because, frankly, if he goes we are very short in that department ourselves. This offer if it’s true will certainly test the resolve of Mr Stewart and it will send out a message as to the future plans. It will be interesting what the offer will be considering what a replacement would cost. One yardstick could be what Barnsley paid for Kiefer Moore. Mr Stewart could hype the price just to repel their offer. Then again it could just be agents playing games. We will see. So Hull City have apparently tabled a bid for micheal Smith! The ever greedy Mr Tony Stewart will no doubt snap there hand off if the price is right, We never stood a chance in the championship with cigar chomping Stewart and we have a competitive budget he constantly spouted off about, for what league 2 certainly not for the championship, we can’t compete in this league fair enough but stop conning the supporters Mr Stewart and as far as calamity Warne goes time to say goodbye, all we hear from him is the same old rhetoric and it’s tiring, boring and monotonous, The millers will sell Smith bring no replacements in and yet we the paying public are just spoon fed the same old tosh. This is no rubbish but my friend is a neighbor of Richie barker and there Is no money to compete at this level so Stewart’s idea is get crap in make do and see how it goes .look at the season we went down warneys had 26 games to turn it around and Stewart to fund it ,it didn’t happen why because Stewart’s not bothered no ambition ok he got us we’re we are but come on we’re a league1 club and that’s it.